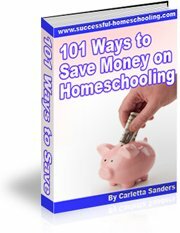 Do you want to be the first to know about contests, specials, giveaways, articles and new homeschool curriculum reviews? Sign up for our e-mail announcements so you don't miss a thing! Don't worry, your information is secure. I will never sell or give away your e-mail address, and you can unsubscribe at any time. Continue reading "MFW Exploring Countries and Cultures"
Homeschool conventions are great place to learn from and fellowship with other homeschoolers. Here are some places to find homeschooling conferences in your area. Attending a home school curriculum fair is a great way to find resources, view products, and save money. Here are some tips for surviving and thriving at homeschool book fairs. Continue reading "Home School Curriculum Fair"
Continue reading "Classical, Highly Structured, Catholic"
Continue reading "MATH MAMMOTH - Light Blue Series"
Continue reading "Great for multiple elementary grade levels"
Continue reading "Progeny Press Macbeth Study Guide"
Continue reading "The Price Isn't Right (Rosetta Stone)"
Continue reading "R.E.A.L. Science Life Science"
Continue reading "Mystery of History Volume 3"